IFA takes pleasure in announcing the Moscow International "MOTOBIKE SALON"
This is the only exhibition in Russia and CIS dedicated to the Motorcycle, Motorcycle Equipment, Spare Parts and Accessories. The exhibition will take place at Expocenter, the Krasnaya Presnya International Exhibition Centre in Moscow, on 20th-23th March, 2008. 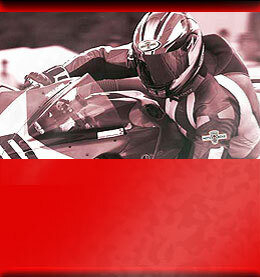 Today the MOTO Industry is a fast growing encompassing all the latest and newest technologies on the market. More and more people in the world are paying attention to motorbikes and scooters which are not only good for sport and hobby but for everyday transportation as well. And Russia is no exception! Despite its climate, The recent growth in the entire Russian economy has taken particularly in the motorbike and two-wheel sector, which is currently increasing by at least 50% annually. With stable economic policy Across the board, Russia is seen as having the enormous potential in terms of developing new business opportunities and brand awareness. Our company IFA having researched the market has launched and established a much-needed specialized event for booming Russia two-wheel market. First, it is a very practical method of transportation, especially in big cities where traffic jams are becoming a usual everyday scenario. Second, the motorbike is that "thing" that allows you to really meet more people and make new friends. Third, one can just have fun alone riding through the countryside enjoying nature, taking in the views and fresh air away from the everyday stresses of life! 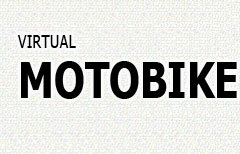 What is Moscow international MOTOBIKE SALON? Moscow International MOTOBIKE SALON is an all-national event which goal is to bring together producers, suppliers, motorbike spare parts, clothing, accessories and enthusiasts of two-wheel industry under one roof. Moscow International Motorbike Salon is the only specialized event to be held in Russia and CIS where the latest products, designs, equipment, services and accessories will be presented reflecting the most up to date trends in the two-wheel industry. MOTOBIKE SALON will enable the whole spectrum of the Motorcycle Industry such as Motorcycle Equipment, Spare Parts and Accessory Dealers to showcase the latest products, equipment and services. Enabling enthusiasts to make crucial contacts, resource new businesses, network with other enthusiasts and build brand awareness of the Russian Motorbike Market. MOTOBIKE SALON is a superb opportunity for suppliers and producers to promote BRANDS and Brand Awareness on the Russian market. Participants in this exhibition will get more information about "competitors" and their offers and activities. Visiting MOTOBIKE SALON will help the above mentioned in a short time to get to know more about the current situation on the International Motorbike market and to get information about new products as well as to be able to compare quality and prices. Everyone will also have the chance to test drive some bikes and finally, to place orders. Why does it take place at the end of March? It is well-known that in Russia the season of motorbikes sales starts at the beginning of April. That's why the period between March, 20th and March, 23th was chosen by the organizers as the most suitable time for this exhibition. The exhibition MOTOBIKE SALON 2008 will take place in Moscow at "EXPOCENTER" exhibition complex, located at Krasnaya Presnya. "EXPOCENTER" is a leading exhibition center (since 1959) and until now it is still the largest exhibition complex in Moscow with a central location. It takes about 15 minutes to get there from down town Moscow. "EXPOCENTER" has 7 pavilions with a total space of 60 000 sq.m. It also has about 30 000 sq.m. of open space. There are more then 60 international exhibitions which take place at "EXPOCENTER" during the year with more than 2.5 million visitors attending last year alone. 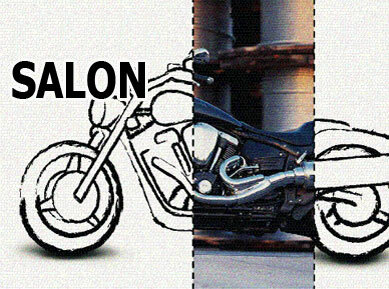 Who is sponsoring "MOTOBIKE SALON"? How can you participate in the "Motobike Salon" exhibition? Our professional staff at IFA will assist you and answer any questions you might have pertaining to "Motobike Salon"
IFA - was recently founded by a dedicated team of industry professionals. They have experience in organizing major international events in sectors such as Construction (Mosbild Batimat), Transportation (Autosalon-MIMS, AutoTec, Motor Show and MIBS), Travel and Tourism (MITT), Oil and Gas (MIOGE), World Food and others. Their extensive experience and in-depth knowledge of the Russian Market combined with their sales, marketing and organizational expertise ensures that their clients will meet the right people at the right time.